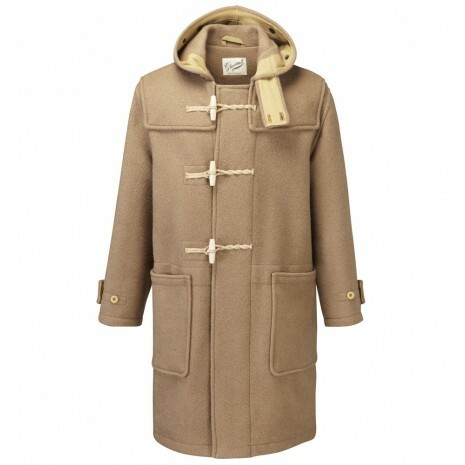 Duffel coats are one of the most stylish iconic coats ever invented, they have been worn by Generals, film stars. 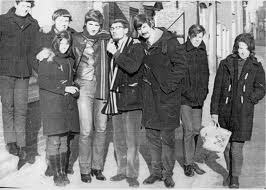 famous artists even school kids, the reason “why”, they are such a super practical coat to wear in the cold months, its down to it simple design with a toggle fastening, the original duffel coats were worn by sailors on war ships in the first world war, it was chosen because of its thick coarse woollen material, the name comes from Duffel, a town in the province of Antwerp, Belgium, where the material originates, duffel bags were originally made from the same material, it is thought that the Duffel family later changed to Duffell are responsible for the spread of the garment, but this can not be confirmed, the original duffel was not made from the this fabric, it was made from a double-faced boiled woollen cloth with a twill structure. 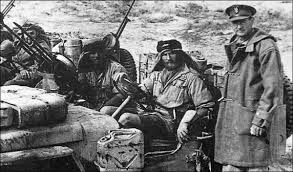 Duffel coats owes it popularity to the Royal Navy , during the first World War they found them self’s patrolling the Atlantic ocean escorting convoy ships, in winter the Atlantic can be a very hostile place to be, so they needed a coat for its sailors it had to be easy to put on also loose-fitting so it could be worn over their uniforms, they were issued with a camel duffel coat, its design was modified slightly due it being to loose-fitting, sailors found it hard to keep warm in the loose-fitting coat so it was modified into a more narrow fit, but it still included a neck strap, three front wooden toggle-fastening with a rope or leather fastenings, two large outside patch pockets, and a bucket hood it was made over sized so sailors could still wear caps, they loved the coats most of all because they didn’t have to take their gloves off to fasten the front of the coat due to its hook type toggle fastening, it got the nick name of the convoy coat, it was used by the navy in the second world war to, it was famously worn by General Montgomery in Africa where is gets really cold during the night, even David Stirling founder of the SAS was a lover of the duffel coat and was photographed wearing it on patrol, in 2002 the SAS opened a memorial to him near Doune, Scotland, it features him wearing his classic duffel coat standing on a rock. After the war young ex-service men went back to college, certain key pieces like desert boots and duffel coats didn’t get handed back into the quartermaster, they found them self’s being worn by college students in Oxford and Cambridge, soon younger students were looking for the same look, due to large stocks of post-war military surplus coats they were able to get their hands on them, they also became a uniform for people who were anti-government, left wing, people like Michael Foot Labour MP wore the famous duffel coat even Tim Sandler, during the 1950s and 1960s the duffel coat reached new heights, soon British students were going to college in the US as exchange students, they took with them their duffel coats, soon American students were wearing cords & duffel coats with big scarfs, after the 1960s duffel coats didn’t reach those heights again. Glovers are one of the makers and suppliers of the original Monty duffel coat, in the 1950s Harold Morris who was a glove maker, got his hands on some surplus duffel fabric and started to make them for the consumer market with great success and glovers to this day make the best duffel coats going, but key to their success is keeping the coat to the original design, but you can now get the coat in any colour you want, the original duffel coats were made very loose-fitting, these days they are made in a more narrow fitting with a straight seam down the front, the other key features of a duffel coat are. 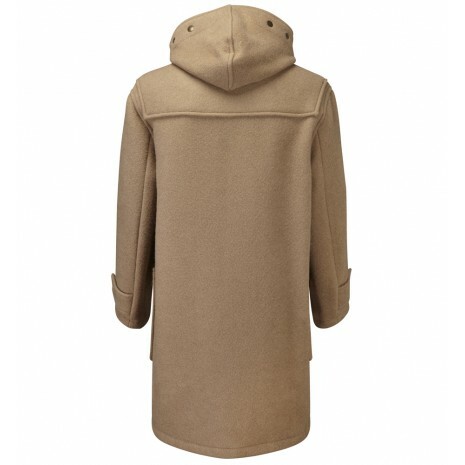 Duffle coats are still very stylish it’s all about what you wear with it, think of colours reds and yellows to mix with camel or a navy duffel, they look great with chunky knitwear, chinos and jeans with trainers or boots, adding a chunky or silk scarf to finish the look. 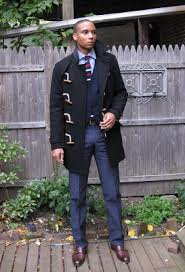 If your looking for business classic coat then adding a duffel coat to your wardrobe will give you a classic stylish piece for seasons to come. 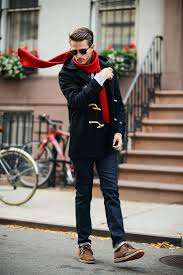 Duffel coats are great for a street style look, adding some straight fit indigo jeans a pair of casual boots then adding a vibrant scarf will give your outfit character and a great layering effect. 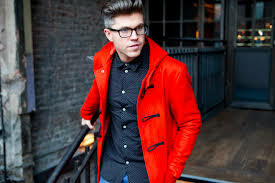 You now can get duffel coats in most colours, so if you’re a snappy stylish dresser and you like to make a big entrance, a duffel coat in a vibrant colour is some thing you need in your wardrobe. I’ve never been a fan of the duffel but with the new stylish designs you now can get I would be happy to have a duffel in my wardrobe.